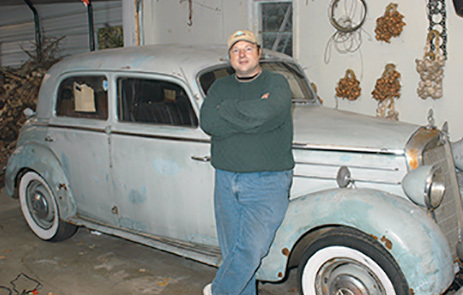 Classic Car Clock is a specialty shop, catering to classic cars and antique trucks older than 1972. Our work speaks for itself and our reputation for bringing clocks back to perfect form is as solid as can be. You only need to look at our portfolio to see just how detailed our work is and that we mean business. Whether working on a classic Mercedes SL roadster clock or doing a complete restoration to a 1916 Waltham eight day clock, we get it right. We love what we do and it shows. I lived in France for a year studying International Business. While traveling in Europe I added to my watch and clock collection. 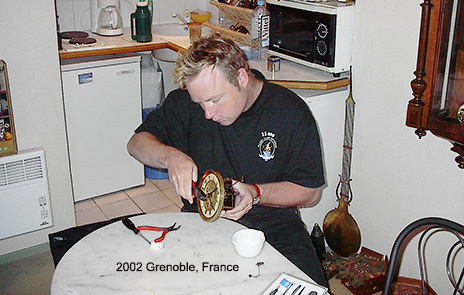 The clocks that didn’t work were incredible bargains so I bought them and learned how to repair and restore from a master clock maker in Grenoble. He didn’t want me to lose an eye so he made me an apprentice and taught me the fundamentals and safety procedures and helped me start a professional set of tools for watch and clock repair. 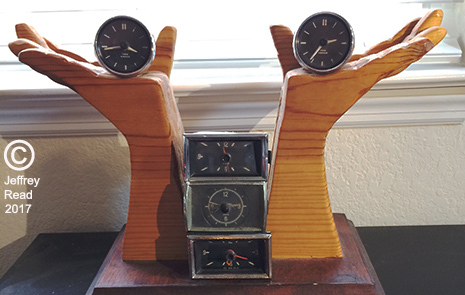 Since 2002, I have continued to expand my watch and clock collection, added all of the tools that professional watch technicians use, and gained valuable experience from repairing and studying mechanical movements. 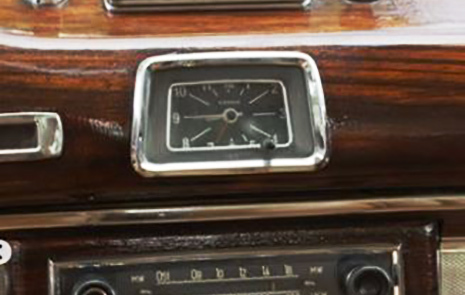 When I examined the clock from the 1962 Fintail car, I was pleasantly surprised to see the same components of a pocket watch plus a winding mechanism that uses 12 volt electricity. I was able to quickly service the clock and it is still running accurately today.